Free crochet patterns, crochet snowdrop pattern, snowdrops crochet flowers, crochet spring flowers, snow drop flower to crochet, easy to follow crochet flower tutorial, inspired crochet flower patterns for free. 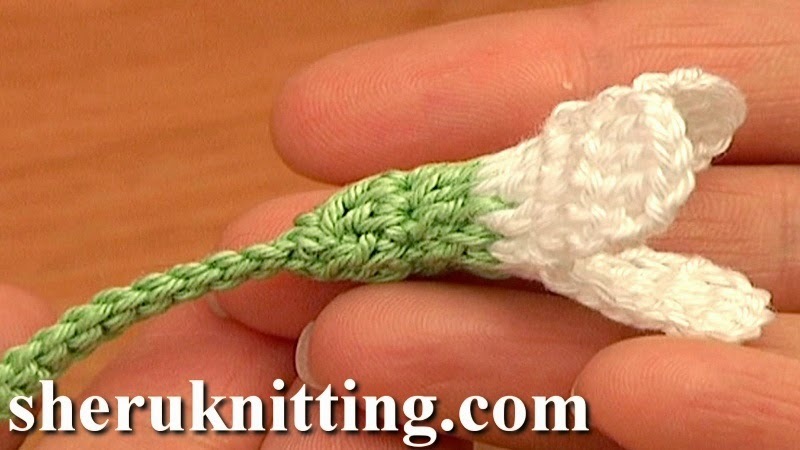 With this video tutorial you will learn how to crochet a snowdrop spring flower. This crochet version of an incredibly beautiful early spring flower - snowdrop flower - won't leave you indifferent. It can be a perfect embellishment for a baby clothing or you may want to crochet a bouquet of these flower to bring some spring mood to your home. This small snowdrop good for many ideas and projects. Thanks for watching! Crochet hook #4 (US standard), 2.00 mm﻿ diameter. Thread specifications: 100% Cotton, 150m/50g.